Novotel Chumphon Beach Resort and Golf is a 4-star hotel on Parandonpab Beach on the southeast coast of Thailand, a 1-hour drive from Chumphon Airport. 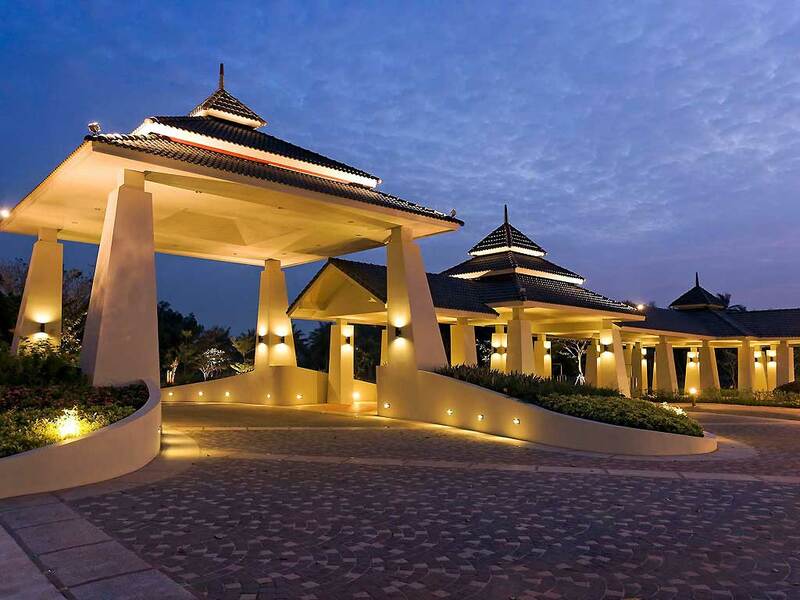 It is equipped with a beautiful outdoor swimming pool, 9-hole golf course and fitness centre, spa and massage facilities. Experience your dream holiday off the beaten path in the Gulf of Thailand. By day, the Casita Restaurant serves sandwiches, salads, snacks and tapas with a mix of Asian and European flavors. By night, enjoy Mediterranean food, barbecued fish and great wine. A large terrace overlooking the sea creates a romantic atmosphere. We serve buffet breakfast and international and authentic Thai cuisine all day. Enjoy our hot and cold buffet, carving station and live cooking demonstrations. Outside buffet hours, savour Thai and other gourmet cuisine from our a la carte menu.